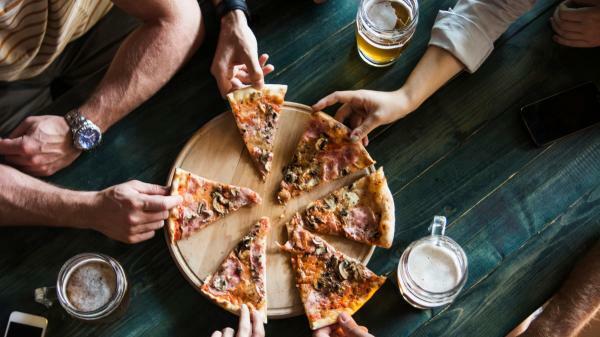 A cheeseburger or a pizza could alter a person’s metabolism and trigger changes linked to fatty liver disease and diabetes, research has shown. While a fit person might be able to recover from one such meal, regular big helpings of rich, fatty food were likely to cause lasting damage, scientists said. For the study, 14 lean and healthy men aged 20 to 40 were either given a vanilla-flavoured palm oil drink or water. The palm oil contained a similar amount of saturated fat as an eight-slice pepperoni pizza or 110g cheeseburger with a large portion of chips. Drinking the palm oil resulted in an immediate increase in fat accumulation and reduced sensitivity to insulin, the hormone that regulates blood sugar. It also raised levels of triglycerides — a type of fat linked to heart disease — altered liver function and led to changes in gene activity associated with fatty liver disease. Similar effects were seen in mice given the same palm oil treatment.